“Arwa Abouon: The Distilled Image.” Tribe Photo Magazine, 6, 36-39, 2018. Arwa Abouon possesses a singular appeal for anyone looking to distinguish signal from noise in the oceans of images flooding our post-literate world. Most images try to sell something or shape attitudes for political gain, and thus obscure the poetic alphabet of visuality and its vital role in the production of subjectivity and knowledge. The deep awareness of the positive potentiality of pictures characterizing Abouon’s work originates in her childhood. For the Libyan-Amazigh artist who grew up in Canada, the family photo album formed the sole link to her forebears and original homeland. Experiencing the faded pictures of unknown places and people as a threshold to a mysterious world she longed to learn about cemented in the artist, early on, the notion that images are both magical objects and vectors of knowledge. 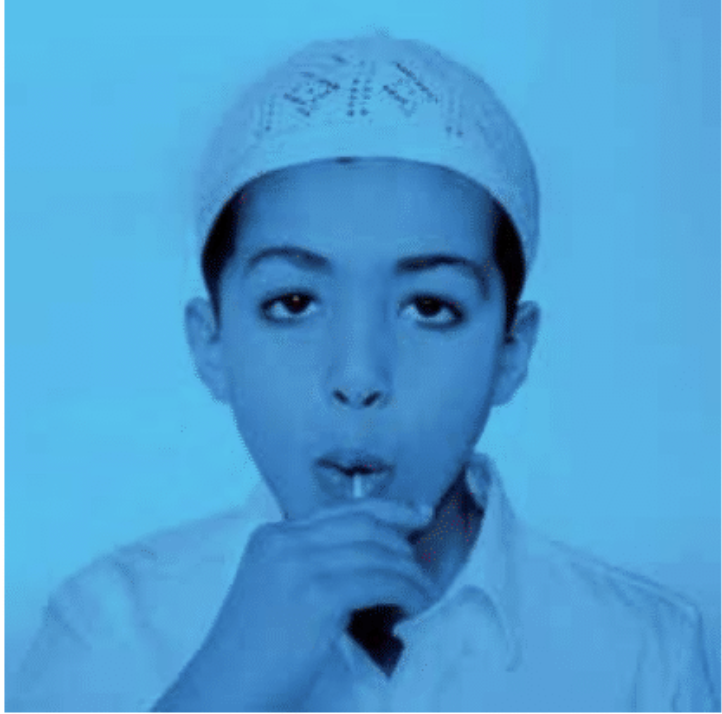 Abouon appears in her own work as in Mirror, Mirror/Allah, Allah (2012) that broaches the issue of the visibility or invisibility of religion as well as plural identity through the memes of veiling and mismatched reflections. The work images an inner dialogue between Abouon and her ‘self’, yet also, through its surrealistic aspect, posits visuality as encompassing both the physical and metaphysical worlds. The title and scene’s allusion to Snow Whiteand the Seven Dwarfs, provides a Western reference with an funny twist to recast definitions of beauty. Abouon’s recurring use of humor to address both spiritual and cultural issues allows the work’s translation across cultures. The Allah Eye Doctor Chart (2007), a light box carrying the words Allah and alhamdulillah printed in various sizes, recasts, in contemporary materials and idioms, the ophthalmologist’s chart that measures eyesight and perhaps, Islamic mystical cosmological diagrams, to question the link between physiological and spiritual vision. Originally published in Tribe Photo Magazine, issue 6, pp. 36-39, 2018.